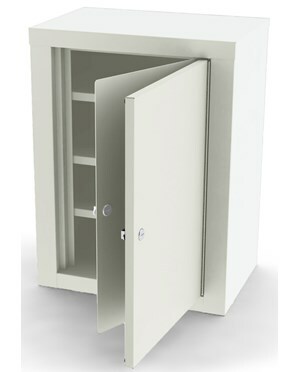 The 7780 UMF Double Door Narcotics Locker is the perfect solution for any exam room or healthcare facility. Made of all steel and welded for superior strength and rigidity, the narcotics locker will hold up to the most demanding circumstances. UMF Narcotics Locker features a double door steel construction, separate locks on each door which are keyed differently. The locker also sports three spacious, adjustable metal shelves. The locker can conveniently be wall mounted or mounted inside a cabinet. 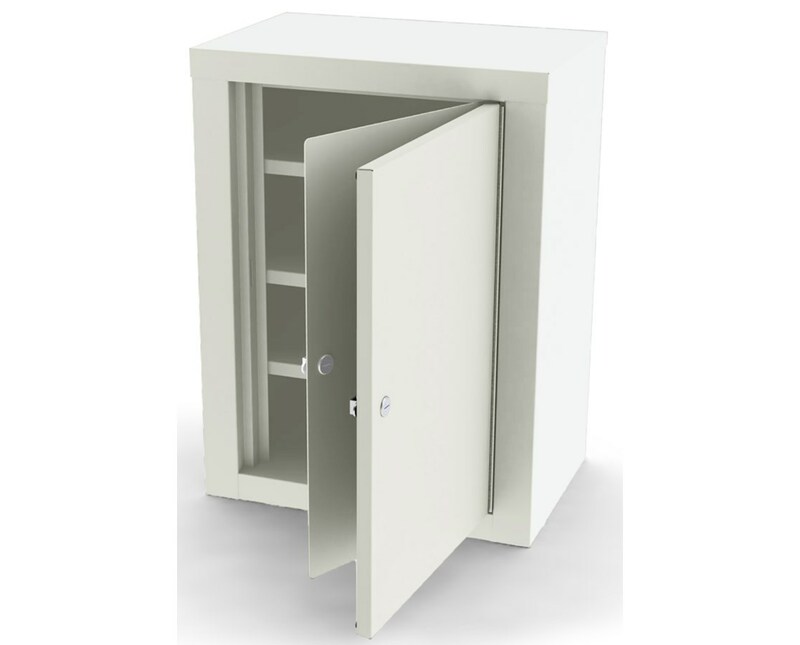 The UMF Double Door Narcotics Locker can be ordered in any of the 8 standard UMF colors. View the available color chart and note your choice in the Special Instructions field during checkout. 20 gauge double wall outer door. 14 gauge single wall inner door. Cam-style locks with 2 keys per lock.